Unfortunately, I wasn’t able to understand how to do it on my first attempt, so I contacted Microsoft to get some clarification and help. I’m really appreciated that Jim Daly got in touch with me and gave some explanations regarding the SDK article. I will share with you the results I got in this article. 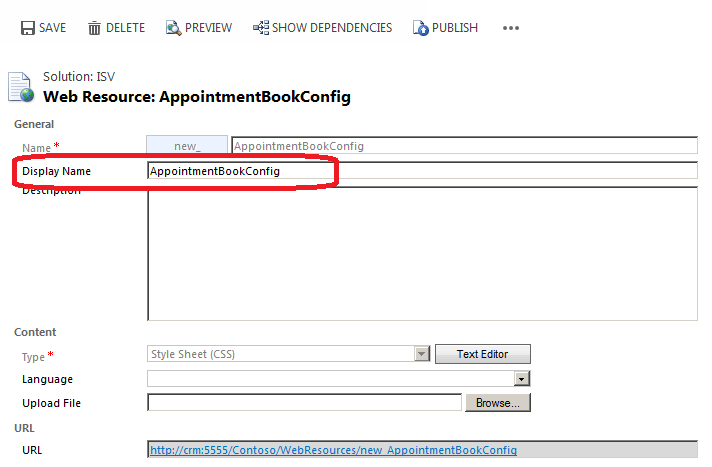 Note: Display Name of webresource has to be AppointmentBookConfig!!! Note: div classes since UR 12 CRM 2011 are case sensitive so be attentive!!! 2. Save and publish this webresource. Let me know if I can put Appointment color based on the contact’s gender. AFAIK that’s not possible for this engine.